Design shapes the world and this is what Pininfarina has been doing since ever, being one of the best players in the development of design around the globe. The design philosophy of Pininfarina derived from its Founder, Battista Pinin Farina. His work was always inspiring to the projects, where aesthetic choices were chosen by technical points. One more secret of the Pininfarina creations is the search for the perfect balance between character and harmony, something that raises our interest and provokes our pleasure in a refined and balanced way. These few traits give a hint as to why Pininfarina is quintessential of the Italian Design. works closely with car makers starting from the first product definition up to the start of production. 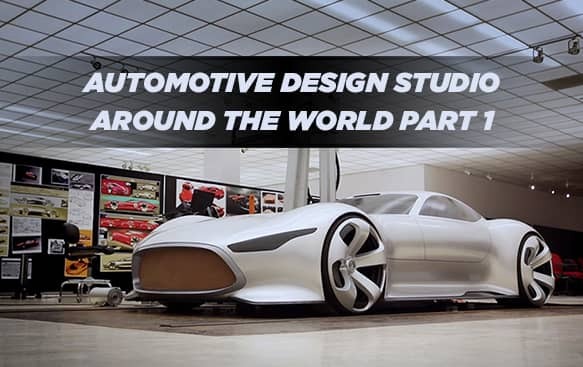 Companies in the sector can get profit from Italdesign consultancy services for turnkey projects, covering all the aspects through the development of styling, concept and vehicle architecture, series engineering, simulation, prototyping, testing, and final production tuning. One of the very early steps of a new project is the Marketing material and message to convince internally and test the ideas externally. BERTONE does make the videos, presentations, and branding of your project to increase commercial success. BERTONE is helping designers in the creation of future concepts by combining innovative features from the designing and engineering departments. This includes the Smart Design where BERTONE is creating simple and cost-effective features that will drastically improve customer satisfaction and feeling. The "Centro Stile" was built in 2004 to be an innovative studio for Lamborghini designers, to combine the brand's culture and soul with innovation and the constant quest for new looks. This is why the Centro Stile Lamborghini is committed to taking the unrivaled tradition of Italian automotive design into the production processes of the future, without having to resort to contractors for the styling. Porsche always is known for its world class designing and sports cars, now Porsche sports cars are now created under one roof. The architectural layout of the studio facilitates a maximum degree of styling and optimal communication for employees of the design development teams. strategic components: Ferrari Design, which counts some eighty designers and automotive engineers, the Chassis Model Workshop, the Tailor Made and the Atelier for the presentation and launch of new models. Established in 2010, Ferrari Design Centre oversees the entire automotive design process in order to ensure long-term continuity of the Ferrari style. Headed by Flavio Manzoni, Ferrari Design handles all aspects of automotive styling for the Ferrari road car product range, encompassing the styling of all bodywork, external components, and interior trim, applied to all series production, special editions, limited editions, one-off models, concept cars and some track-only models. Furthermore, Ferrari Design is also regularly involved with the design and conceptual definition of Ferrari branded products. located in a world-class building adjacent to Aston Martin's manufacturing and engineering center at Gaydon in Warwickshire integrates the process into the heart of the company. “Aston Martin about designs and it is about beauty,” says Aston Martin's Chief Executive Officer, Dr. Ulrich Bez, “yet until now it has never had its own design studio. The elegant modern pavilion, designed by the Weedon Partnership in collaboration with Austrian pre-fabrication specialists Holzbau Saurer, has been built using the latest construction technology and is a showcase for environmentally sustainable design. The 2700²m studio provides space for the design team, color development work and a specialist trimmer. One side of the new building is faced entirely in glass, braced with glass beams, to help maximize the feeling of transparency, flooding the studio floor with natural light. Flush light fittings provide hidden ambient light, supplemented and enhanced by the customized and highly adjustable lighting rigs used to develop the clay surfaces. “A studio has to have the ability to allow you to view the cars from all angles,“ Reichman says, “so the building design takes this into account.” There are also five full-size ‘plates’ on the studio floor for the creation of full-scale models, along with a viewing garden, screened from the rest of the facility by a hand laid stone wall, landscaping.